He's still adjusting to a commuter agenda on game days that begins early and ends late. A 2 1⁄2-hour NHL contest tends to be just a small portion of a coach’s typical game day, between meetings, morning skates, media sessions and analysis, video-related or otherwise. 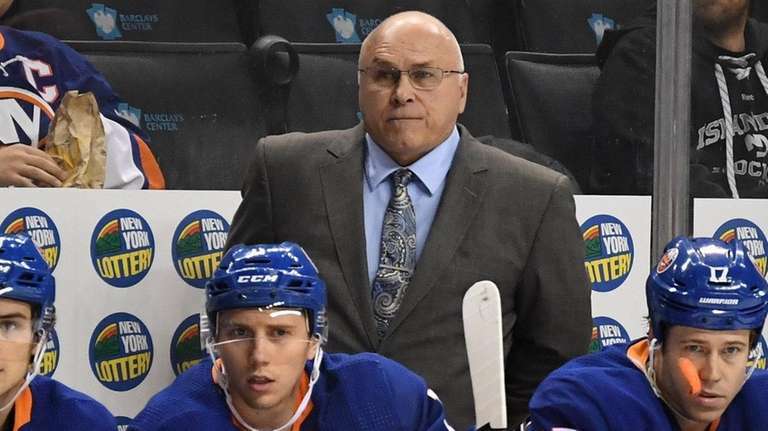 Barry Trotz, in his first season as Islanders coach after four with the Capitals, with whom he won the Stanley Cup last season, and 15 previously with the Predators, still is adjusting to the commuter life on Long Island that takes him from the team’s practice facility in East Meadow to either Barclays Center in Brooklyn or NYCB Live’s Nassau Coliseum in Uniondale. 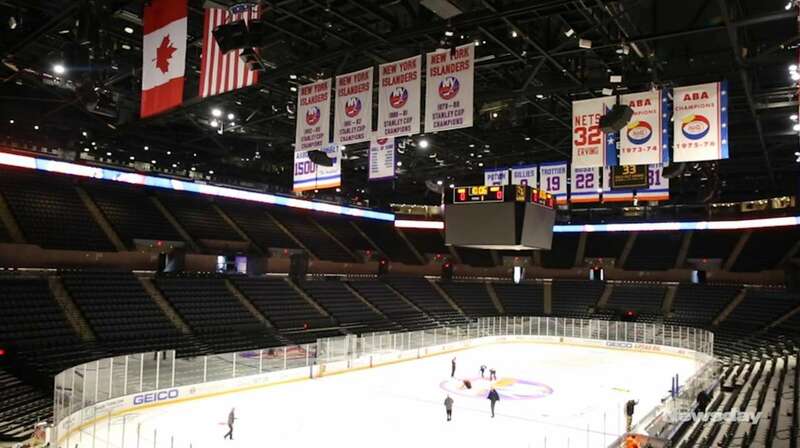 In a one-on-one chat with Newsday, he detailed his routine, which begins when he arrives at Northwell Health Ice Center at 6:30 a.m. and ends around 1 a.m. at his home when he’s finally done reviewing the results. The day starts with meetings with his coaching staff before the players arrive for meetings at about 9 a.m. The pre-scouting work is divided on a game-by-game basis among his assistants. The morning skate, whether it’s an optional or a full team session, usually starts shortly after 10 a.m. Media access — Trotz often is very chatty — follows. Then comes lunch, a workout for Trotz, a second shower and, for games at Barclays, an LIRR ride to Atlantic Terminal. Trotz usually steps off the train at 3:03 p.m., goes to a local Starbucks — he said he’s not recognized there yet — and heads into the arena for more meetings. Trotz used to stand on the bench to watch the opponent’s warm-ups but now cedes the responsibility of picking out the lineup to his assistants. After the game and before meeting with the media, Trotz jots down individual player ratings — he wouldn’t specify his system — that are for him and the coaching staff. The players don’t get their daily grades, but Trotz said he talks to them about segments of the season to let them know how he thinks they’re doing. He’s out of the arena about an hour after the game, but he isn’t done with work. Trotz said he’s typically in bed by 1 a.m. but back at the team’s facility no later than 7 a.m. the following day. The inclusion of advanced analytics into his preparation and review is the biggest change to Trotz’s routine since he entered the NHL as a head coach in 1998. “We look at analytics a lot more,” he said. “There’s cross references. We do our own coaches’ analytics. To me, the marriage is there’s an analytic community that does the chances and high quality, low quality, all that. But the breakdowns within the system that allow those chances to happen are not in those numbers. You see this guy was on the ice, but was he the primary guy or was he the guy covering up for the guy who made the mistake? That’s what the analytics community doesn’t really know. Andrew Gross joined Newsday in 2018 to cover the Islanders. He began reporting on the NHL in 2003 and has previously covered the Rangers and Devils. Other assignments have included the Jets, St. John’s and MLB.